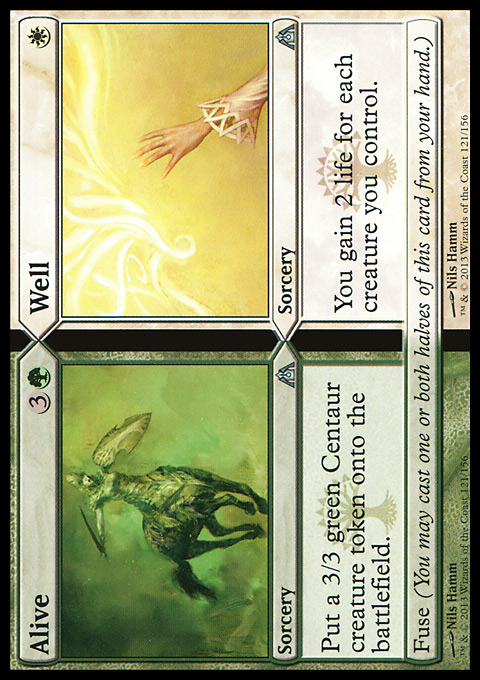 Create a 3/3 green Centaur creature token. Target creature gets +1/+1 and gains double strike until end of turn. Assault deals 2 damage to any target. 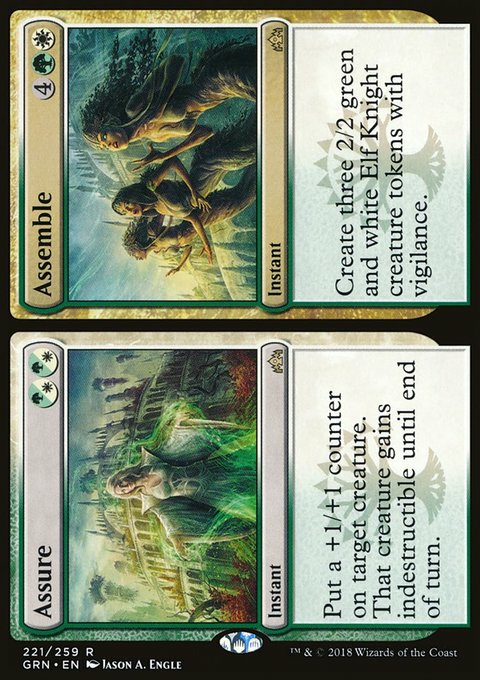 Create three 2/2 green and white Elf Knight creature tokens with vigilance. Put a +1/+1 counter on target creature. That creature gains indestructible until end of turn. 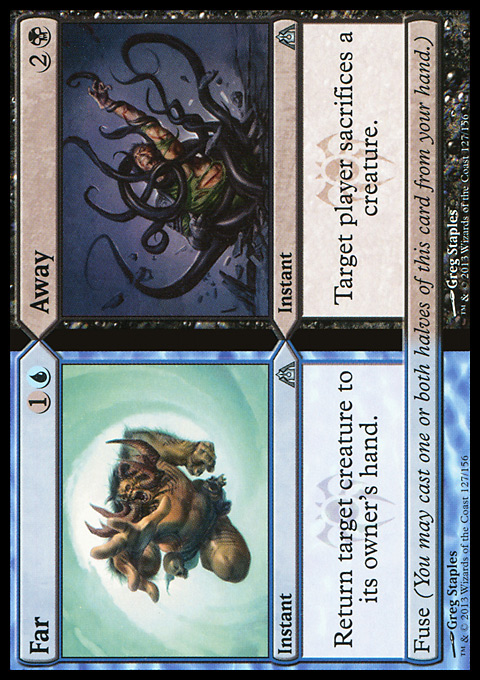 Target player sacrifices a creature. 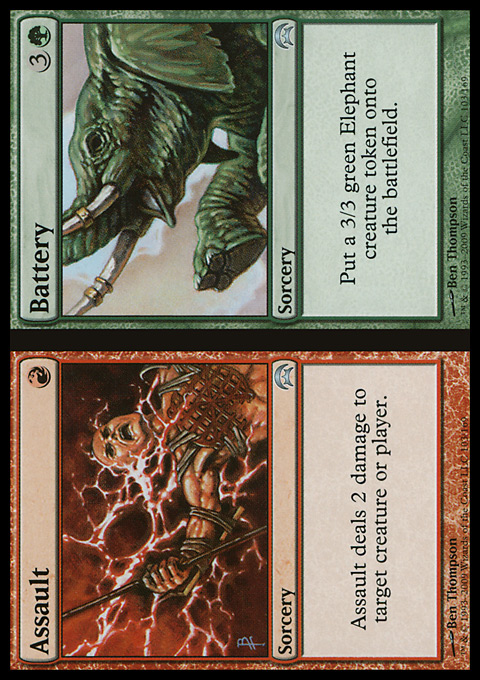 Create a 3/3 green Elephant creature token. Whenever a creature enters the battlefield this turn, you may draw a card. Destroy target nonbasic land. Bedazzle deals 2 damage to target opponent or planeswalker. Target creature gets +3/-3 until end of turn. Target creature you control deals damage equal to its power to any target. 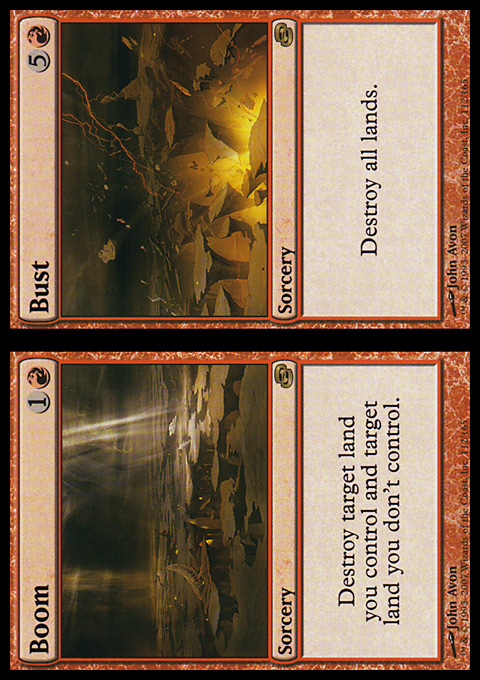 Destroy target land you control and target land you don't control. Sacrifice a creature. 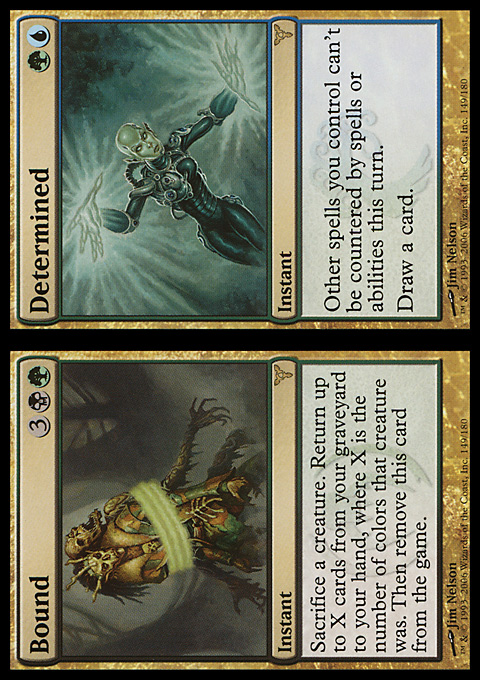 Return up to X cards from your graveyard to your hand, where X is the number of colors that creature was. 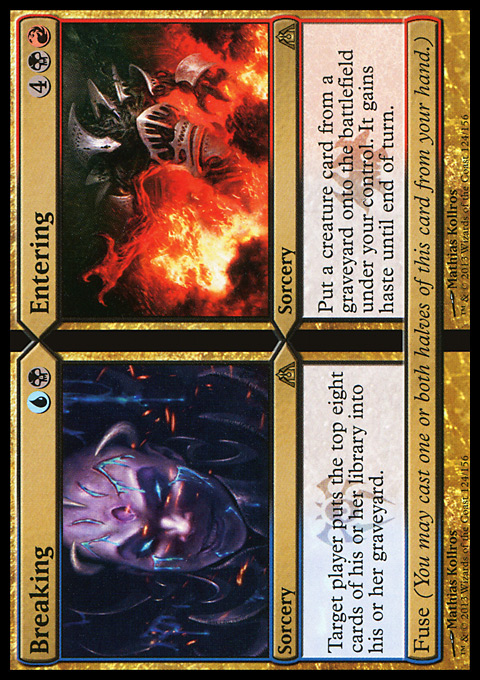 Exile this card. Target player puts the top eight cards of their library into their graveyard. 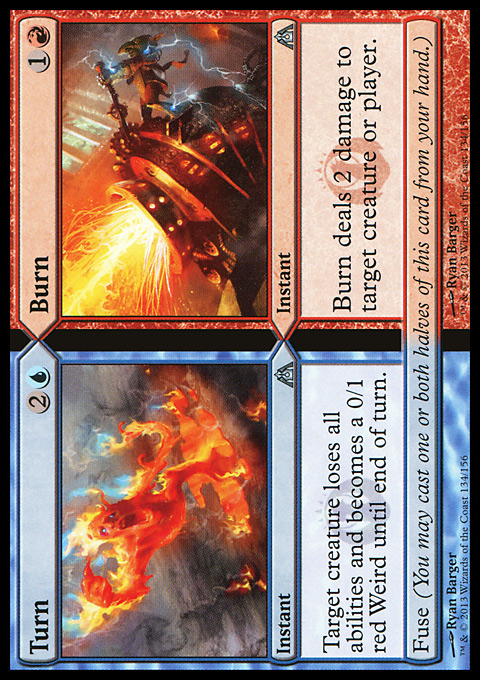 Burn deals 2 damage to any target. 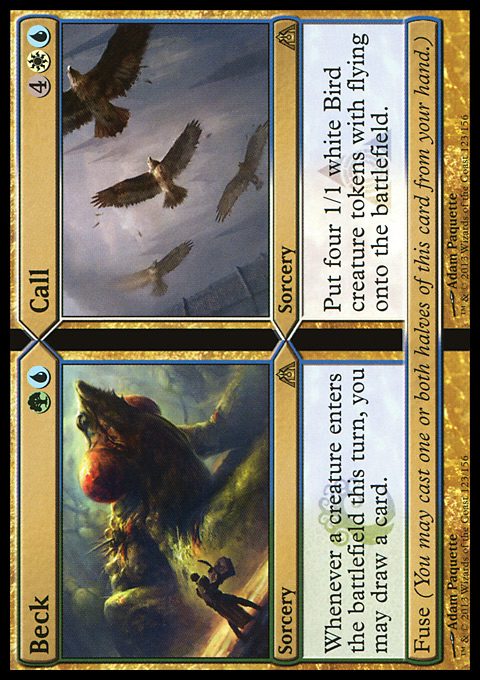 Create four 1/1 white Bird creature tokens with flying. Carnage deals 3 damage to target opponent. 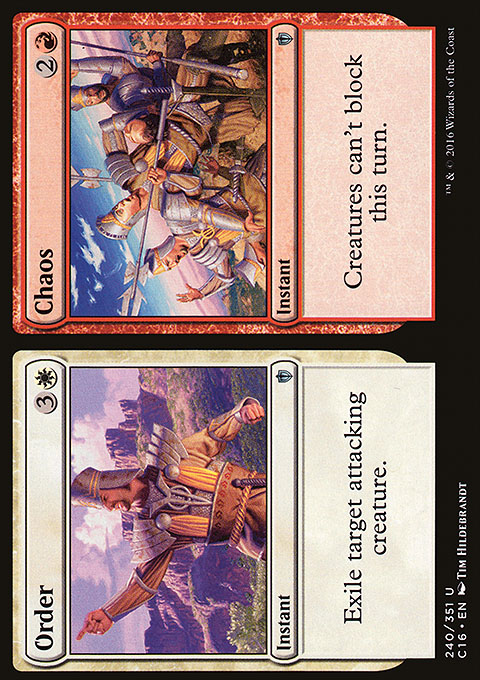 That player discards two cards. 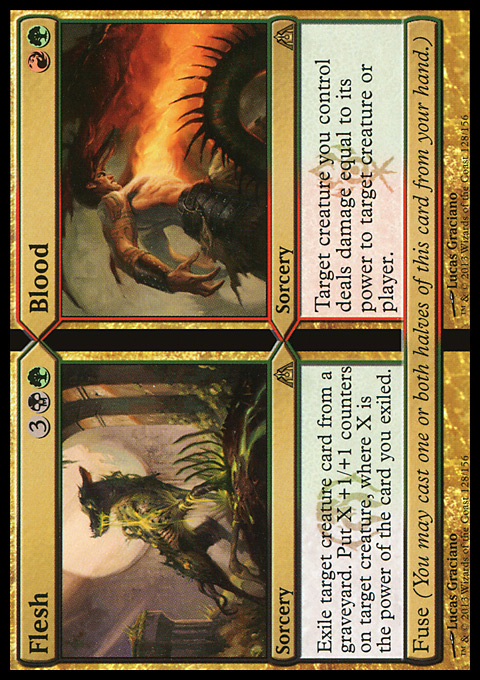 Carnival deals 1 damage to target creature or planeswalker and 1 damage to that permanent's controller. 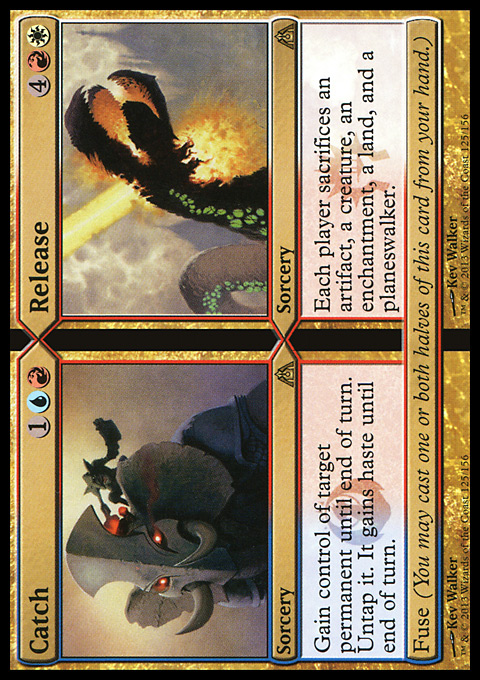 Gain control of target permanent until end of turn. Untap it. It gains haste until end of turn. Creatures can't block this turn. Collision deals 6 damage to target creature with flying. Target creature gets +4/+2 and gains trample until end of turn. Surveil 3, then return a creature card from your graveyard to the battlefield. Gain control of target creature with power 2 or less.